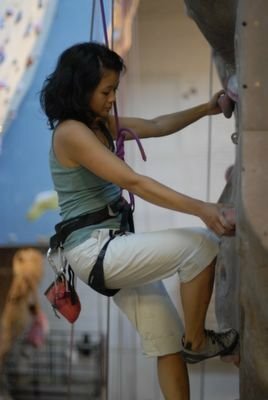 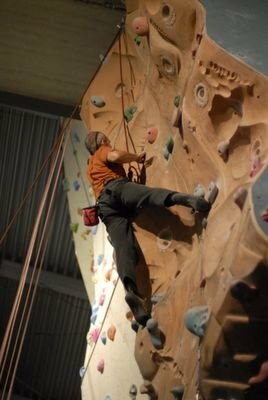 Thursday night I went climbing with Lisa again. Matt joined us again. He's quite good! There were several other really good climbers there too. Lisa tacked this route of green holds. 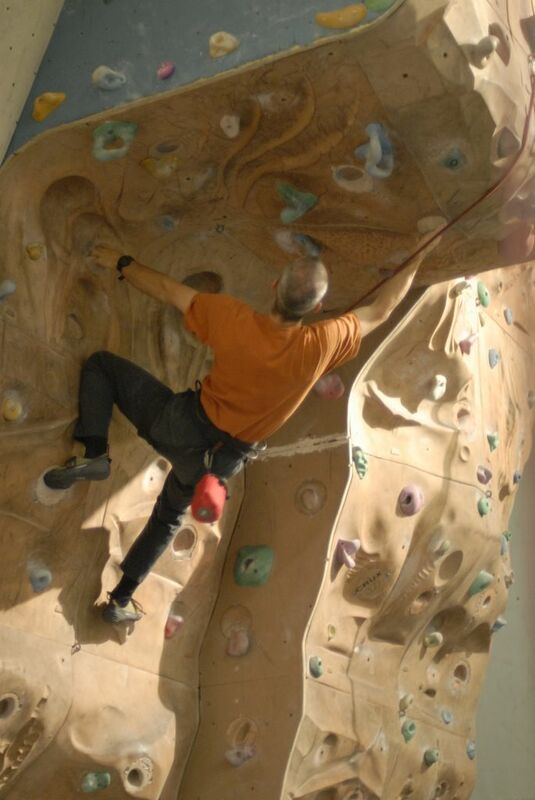 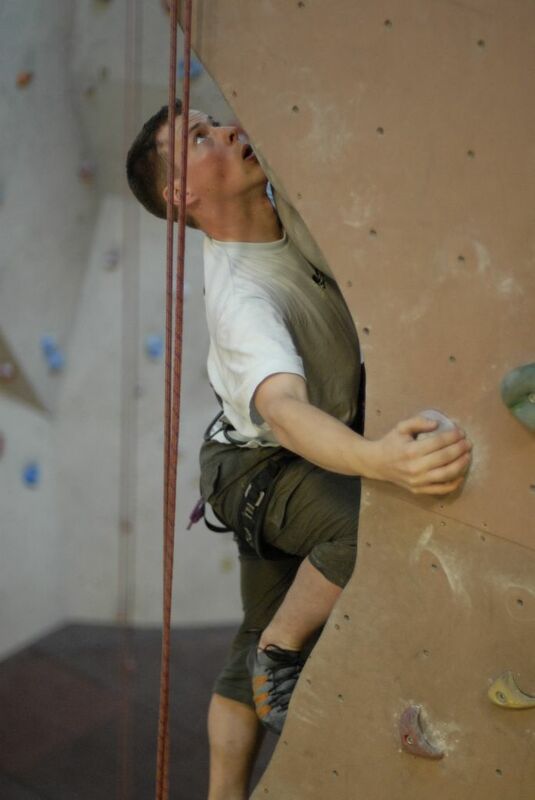 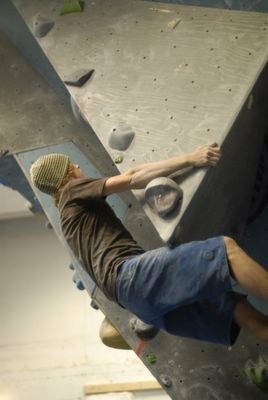 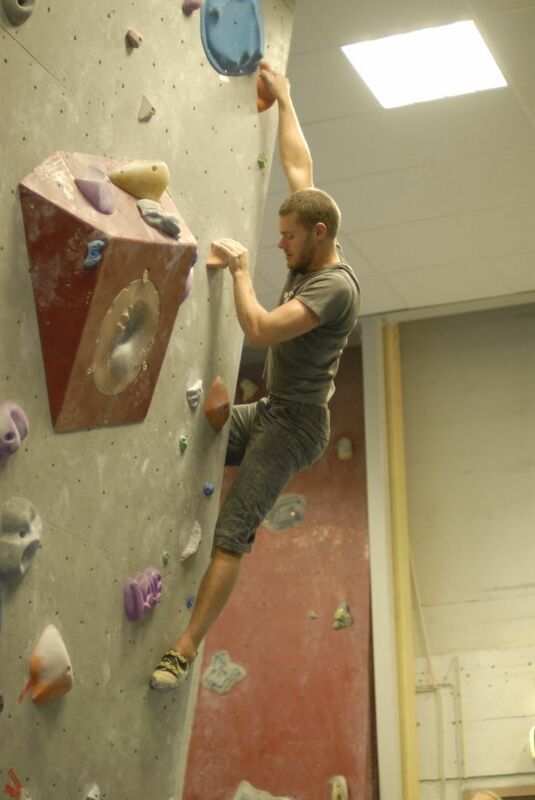 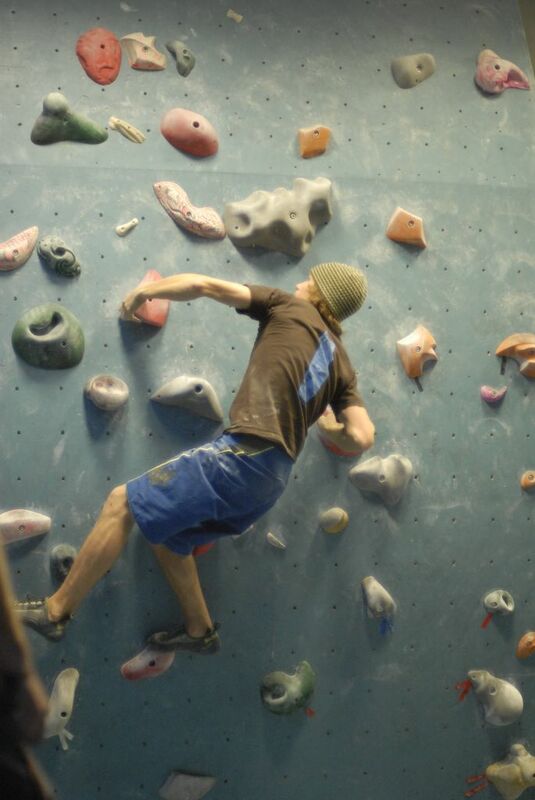 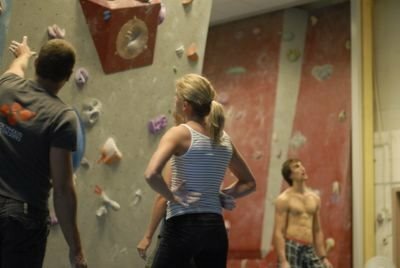 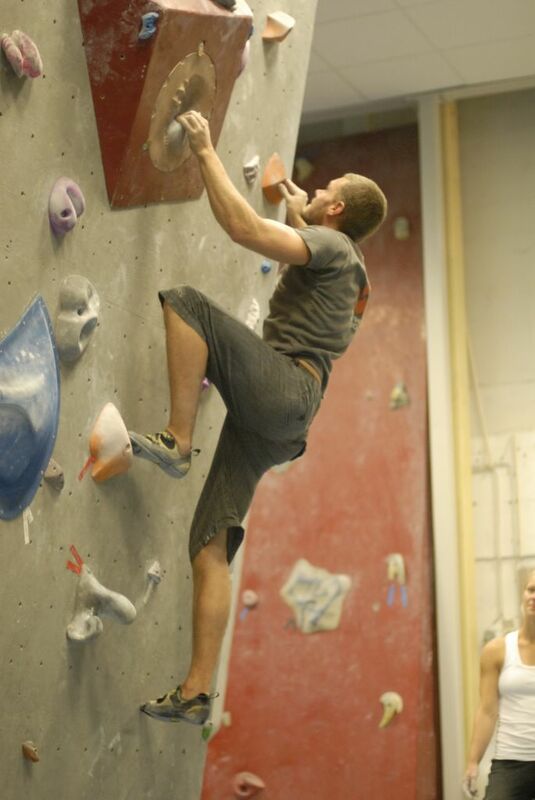 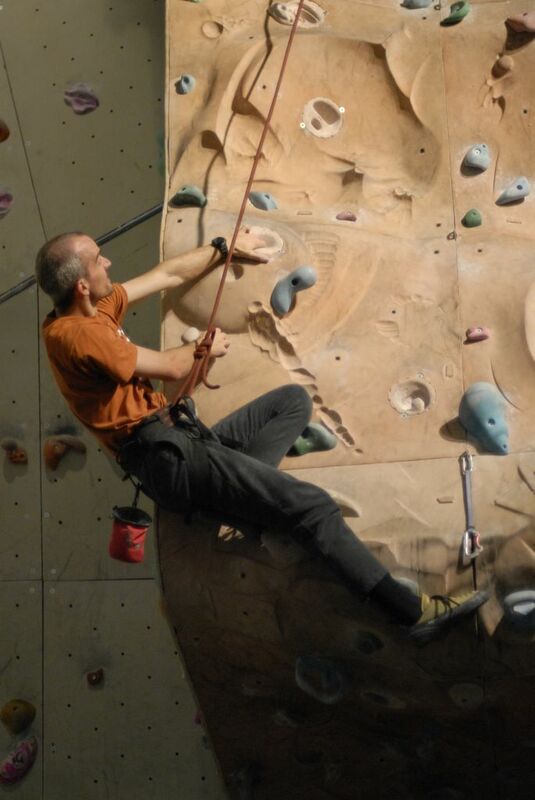 A talented climber named David was among those in the bouldering area downstairs. 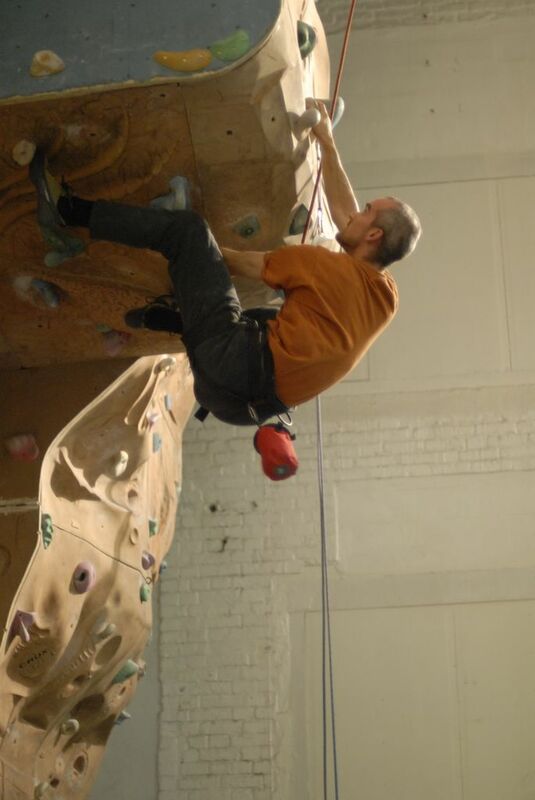 I tried the route of terra-cotta colored holds on this wall with a big overhang. It's a bit tricky for me because one of the holds right after the overhang is broken. 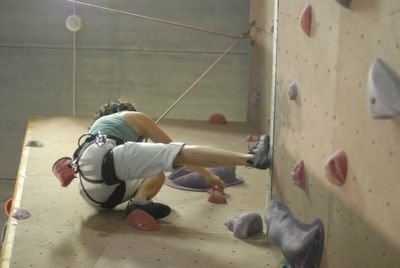 I was watching when it broke: a guy was climbing and it just cracked under his weight when he pulled on it. 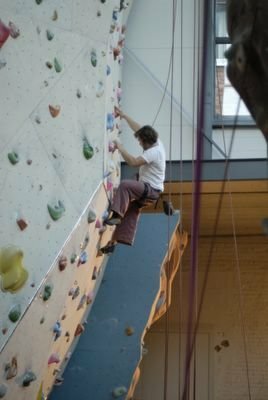 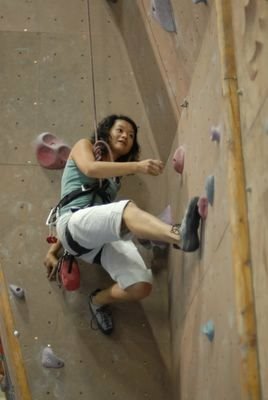 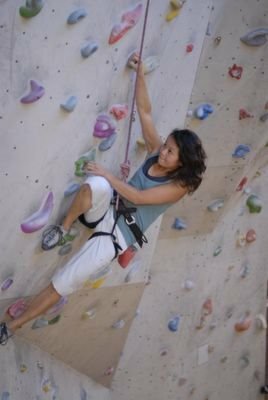 Here, a climber named Anna tackles a challenging route on the downstairs boulding wall. This route is well beyond what I can do! And finally, Lisa tries the route of red-colored holds in the 90-degree corner.